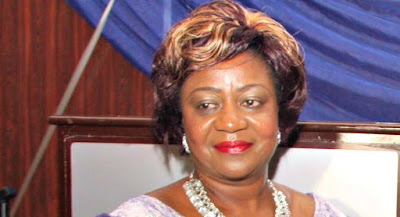 Presidential media aide, Lauretta Onochie has openly stated that former aviation minister, Femi Fani Kayode and governor of Ekiti State, Ayodele Fayose, do not want to see President Buhari alive. "We know them, FFK, Fayose and the likes of them. I am not afraid to mention names.We know what they have said in this nation. We were here in this nation when Fayose's SA on media, Lere Olayinka came on social media and announced the death of president Buhari. We know where all these things are coming from and why they are doing that because the laws are after them". While defending the president non-disclosure of his health status, Onochie said that the President had rights to his privacy as an individual and that it is up to him to decide to reveal his health status. She cited Ronald Reagan as an example, stating that he had colon cancer and American were not told, adding that no one went after him for that.